Since the arrival of approximately a dozen German-Jewish immigrants in the 1840s, the Jewish community of Dayton has actively contributed to the betterment and welfare of the "Gem City." Jewish Community of Dayton recalls forgotten stories of Arthur Welsh, the first Jewish airplane pilot; orphan turned social reformer Rabbi David Lefkowitz; Golda Meir's impassioned 1948 visit on behalf of the new Jewish state; and opera star Jan Peerce giving the final performance of his career with the acclaimed Beth Abraham Youth Chorale. 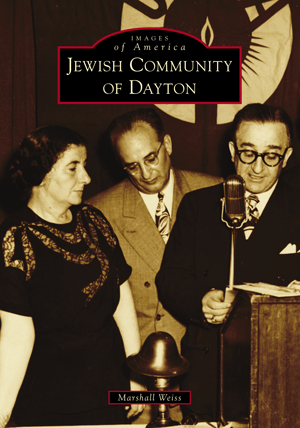 This book illustrates how Dayton's Jews have responded and adapted to challenges ranging from the Great Flood of 1913 to resettlement of immigrants throughout the 20th century, from sacrifices for the state of Israel to activism in the civil rights era. Marshall Weiss—founding editor and publisher of the Dayton Jewish Observer, a publication of the Jewish Federation of Greater Dayton—has selected the most pertinent images and stories of the Dayton Jewish community’s progress from the 1840s through 2000, drawing on materials from Wright State University Special Collections and Archives, Dayton History, Dayton Metro Library, the Jacob Rader Marcus Center of the American Jewish Archives, Dayton-area Jewish community organizations, family collections, and the files of the Dayton Jewish Observer.